Son of Tess. 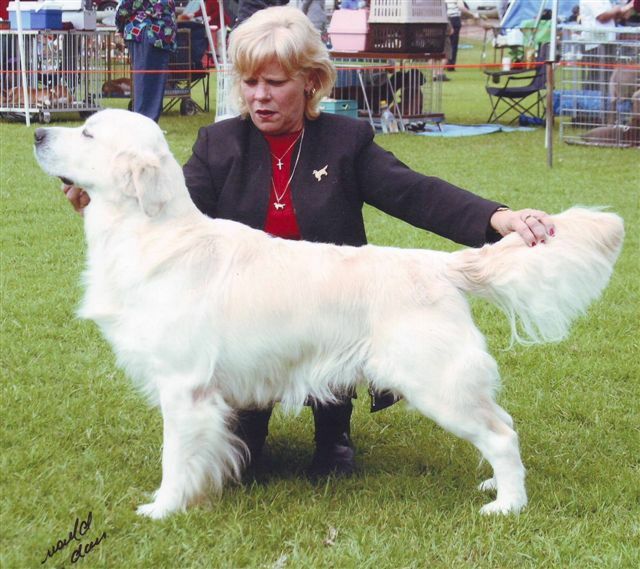 Kyva, although sparingly shown, is a multi All Breeds Best in Show winner and has been placed well at Specialty Shows. 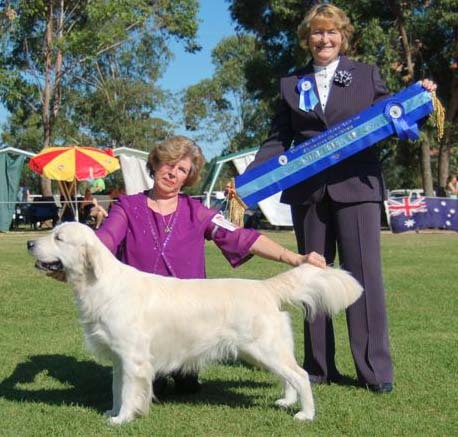 He is siring some lovely puppies, as well as conformation and obedience champions and Guide Dogs for the Blind. So he has brains as well as beauty.